The Radar is pro-peloton-proven for its eye-protecting wraparound. This EV version lets you enjoy an Extended View, courtesy of its taller Iridium Photochromic lens. With its extended range of view in the upper peripheral region, the EV lens/frame design works particularly well when riding in the classic flat-back road riding position with eyes up and head down. This particular pair of Radar EV Path Sunglasses are made all the more wonderful, courtesy of Oakley Photochromic lens technology, which automatically adjusts to changing light conditions, making them a viable option for 24 hour endurance events. 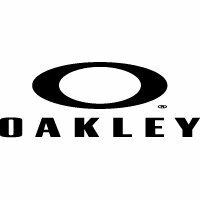 Oakley calculate the transmission range of this lens to be a 23-69%, which is a much wider range than most transition lenses. This means you can wear them whether out under bright sunlight or the middle of the night. Plus, being Oakley, they're so comfortable and stylish, you'll actively want to wear them night and day. Supplied with microbag, soft case and spare nose piece. Only 31g based on weighing a pair of Oakley Radar EVZero Path sunglasses at Bike Co-op HQ in February 2017. We'll leave Oakley to describe their awesome sunglasses in their own inimitable Californian style. Interchangeable Lens availability let you change lenses in seconds to optimize vision in any sport environment.